From the very beginning residents will be able to take advantage of everything Arden has to offer. A state-of-the-art Fitness Center, 20 miles of hiking and biking trails, resort-style split-level pool, Community Clubhouse, 30 acres of parks and four illuminated Har-Tru® tennis courts are just the beginning. Changing schools halfway through the year can be difficult for students academically and socially. Start settling into your new community by getting the kids enrolled in their new school district now. That way, they avoid a potentially disruptive transfer and the moving process is a whole lot easier. If you purchase your pre-construction home this summer, you could be completely moved into your home for the holidays. Arden’s homebuilders will work with you to create a home with the perfect place for your favorite holiday decorations and traditions. Imagine celebrating the holidays with family and friends in your new home, and building new traditions with your neighbors at community-wide holiday celebrations. Buying a new home this summer means you have the first pick of available homesites at Arden. Opt for one of the quick move-in homes to get settled into your new home sooner, or build your dream home from the ground up on your choice of the available lots. You can be the envy of the neighborhood with the perfect home located on just the right homesite if you purchase yours this summer. Arden’s Lifestyle Director plans an exciting year-round calendar of events and activities based on the interests of the community. 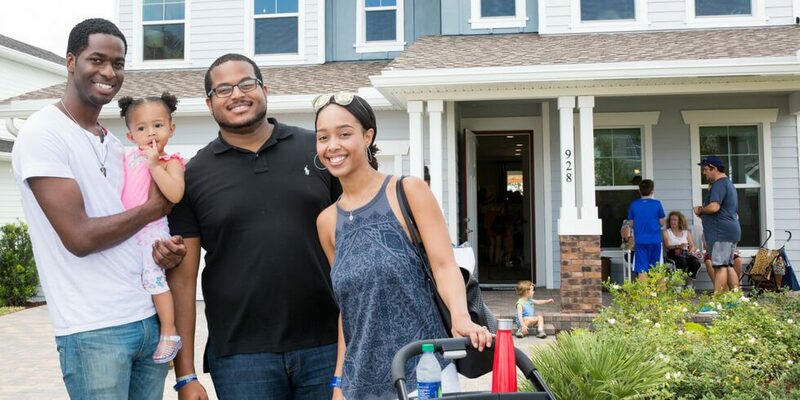 As one of Arden’s first residents, you’ll have the opportunity to influence those programs and shape the kind of community you want to live in, whether that includes running groups and food truck nights or book clubs and pool parties. If you’re looking to make a move, visit Arden this summer to find beautiful homes, resort-style amenities and a lifestyle focused on healthy living and connection to nature. To learn more about Arden and everything this community has to offer, join our Founders Club and always stay up-to-date on Arden happenings.